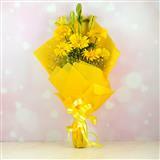 Flowers are wonderful gifts to tell someone how much they mean to you. 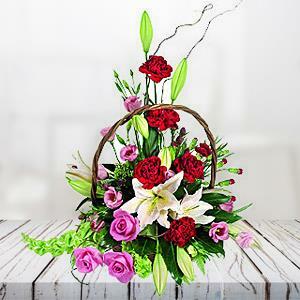 Thus, express your feeling to your loved ones in all cities in India but are shy with words then this beautiful flower basket will convey your feelings. 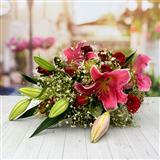 Presented in a handle basket with 12 pink roses, 6 red carnations and 2 stems of lilies (2*3=6 lilies), your dear ones will be thrilled with this gift from you. 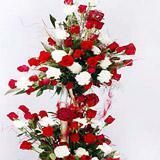 Pink roses signify admiration, whereas red and white carnations signify love and best wishes respectively. 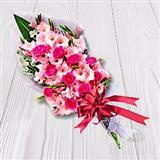 Hence, these flower baskets will surely make your dear one feel loved and cherished by sending other Gifts across India through GiftsAcrossIndia.com.